Can Tiger carry his team in the Ryder Cup? This week our ClubLink Round Table was supposed to be all about the Ryder Cup but after Tiger Woods’ amazing win on Sunday at the Tour Championship, we had to ask about that too. 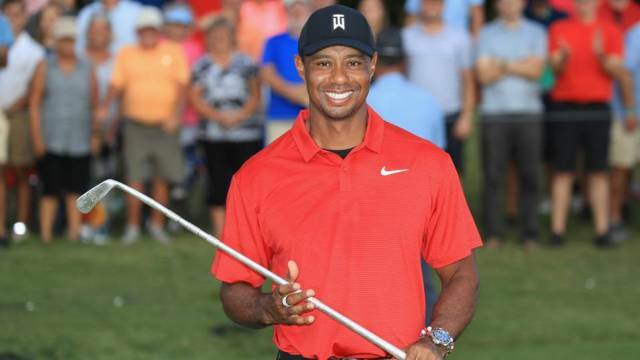 Tiger woods won the Tour Championship on Sunday for his 80th PGA Tour victory after a season in which he and probably no-one else knew if he’d ever play competitive golf again, let alone win. What’s your reaction to Tiger’s win, did you believe it would ever happen and how do you put it into perspective against his storied career? Matt Belacca, PGA, Glendale Golf Club: I have never been a big Tiger fan, but it is undeniable that he is great for the promotion of the game. Once he started making top ten’s etc. I figured it was only a matter of time before he got the victory, so it did not really surprise me that he won. This win does not change his legacy: he is still one of the top two greatest players in the game, but Jack Nicklaus is #1 in my books. Andrew George, PGA, Kings Riding Golf Club: I read a great line recently about the Tiger effect on the golf world. Tiger doesn’t move the needle, Tiger is the needle. I’ve always been a Tiger fan. Others not so much. But they don’t boo nobodies. What he’s done with the recent win at the Tour Championship is remarkable. We all know the history with his health. To be able to rise from that and stand as the Tour Champion must be one of the most important victories of his career. Scott Johnson, PGA, Kanata Golf & Country Club: I did think Tiger would win again, but that’s easy to say in retrospect. When he played as well as he did at the Hero World Challenge I figured with more events and getting back into the competitive swing of things he could win again. With respect to how it compares to the rest of his career, when he used to win regularly he drove it longer than anyone. These days, there are many players who hit it longer than he does, so he has to find other ways to win, which he did this weekend. Consistent play and being the best iron player and putter are going to be the keys to him winning more in the future I think. Ken Lane, PGA, Caledon Woods Golf Club: The WIN by Tiger Woods yesterday could be exactly what the golf industry needed. Injury almost took Tiger away from us, but now everyone gets to see his challenges in coming back, his dedication to playing well, and achieving goals in this great game of golf. George: The Ryder Cup is a different realm. Individual accolades are out the window. These world class players need to come together and work as a team to be crowned the champions. The European team is stacked with veterans and shouldn’t be discredited against the USA team that looks better on paper. My feeling is that it should be a well fought battle with the outcome decided by the last couple of matches on Sunday. Johnson: I think it will be closer than people think. The US has a couple of rookies as well and who knows how they will handle the pressure. Lane: While I do believe the USA has a very strong team in this upcoming Ryder Cup, I also believe that the Europeans have proven both their great skill and ability to overcome being underdogs. Belacca: For me it’s Tommy Fleetwood. He has had a stellar season yet hasn’t won and taken the next step. This is the perfect stage to shine and I see him as primary point getter for team Europe. George: The usual suspects will provide some fireworks – Rory McIlroy, Ian Poulter, Patrick Reed and Jordan Spieth. I’m looking forward to seeing a player perform from each team – Tiger and Tommy Fleetwood. Tiger for obvious reasons but also because he has less than a stellar record at the Ryder Cup. It will be interesting to see if he can ride the wave of momentum in Paris. As for Fleetwood, he’s a grinder and I’m sure will be challenge for whoever he plays. Johnson: I’m really looking forward to seeing how Ian Poulter does this year. Now that he has had a bit of a resurgence in his career, will he be able to re-capture the magic from Medinah and make every putt he looks at? Lane: I would have said Tiger until Sunday, but he has already surprised everyone enough. Dustin Johnston appears to be going through some personal challenges that are clearly negatively affecting his game. I don’t think anyone expects anything out of Jordan Spieth after a pretty average year and missing the FedEx Cup final, but I’d bet on him proving himself in France.